My oldest son has been fascinated with lions, tigers, and all big cats for years. The first time we went to Animal Kingdom on the Kilimanjaro Safari he got upset that we did not see the lion awake. The next time around, we saw the king sitting up on top of his rock. An epic true story set against the backdrop of one of the wildest places on Earth, “African Cats” captures the real-life love, humor and determination of the majestic kings of the savanna. Narrated by Oscar®-nominated actor Samuel L. Jackson, the story features Mara, an endearing lion cub who strives to grow up with her mother’s strength, spirit and wisdom; Sita, a fearless cheetah and single mother of five mischievous newborns; and Fang, a proud leader of the pride who must defend his family from a rival lion and his sons. Disneynature brings “The Lion King” to life on the big screen in this True Life Adventure directed by Keith Scholey and Alastair Fothergill (“Earth”). 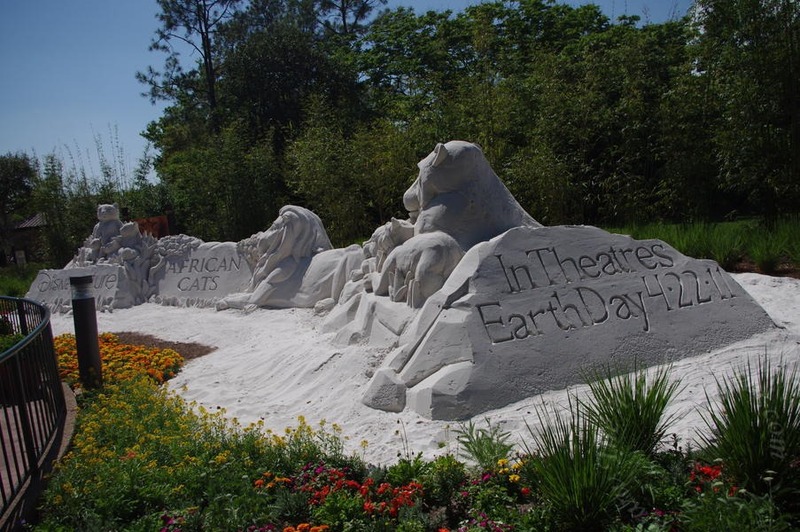 An awe-inspiring adventure blending family bonds with the power and cunning of the wild, “African Cats” leaps into theatres on Earth Day, April 22, 2011.For more information about the movie and the “See ‘African Cats,’ Save the Savanna” initiative, check out Disney.com/AfricanCats. During the film’s opening week (April 22-28), a portion of the proceeds from that week’s ticket sales will be donated to the African Wildlife Foundation (AWF) through the Disney Worldwide Conservation Fund to ensure the future of lions, cheetahs, elephants, zebras, giraffes and a host of other animals in the vibrant African savanna. The AWF will be working to protect the Amboseli Wildlife Corridor, a passage between the Amboseli, Tsavo West and Chyulu National Parks that is frequently used by a variety of wildlife. Fans pledge to see “African Cats” opening week by logging onto http://eventful.com/africancats. Participants can watch how honoring that pledge can effectively save the savanna. A real-time counter will show how many people have participated, and there will also be a graphical map representing the number of acres across the savanna that are being conserved based upon the number of pledges received. Upon arriving at the theater, fans can check in via their mobile device to win special prizes. African Cats begins in theaters everywhere on Earth Day, April 22. You can also like them on facebook at http://www.facebook.com/Disneynature. The teacher in me can not wait to see this for the educational experience. The mom, can not wait to take her son for a special treat to watch all of these magnificent creatures on the big screen. What is your favorite African Cat that you can not wait to see in the movie? BTW, if you are interested in some fun activity sheets, an educational activity guide, and a 135-page expanded educator’s guide that would be great for teachers or homeschoolers – you can get them and additional items from the African Cats media page. Disclosure: Information was sent to me from Disney PR and no compensation was received. As a life long Disney fan, I love to share this information with my readers.